Who am I? Why am I here on the earth? These important questions reside in the heart of every person. What you may not realize is that identity and purpose are not elusive things that can never be found. They are not based on past mistakes, present successes, or the opinions of others around you. Your identity and your purpose are rooted in the heart of God. Many people spend a great deal of time living from a misplaced identity—internally believing they are someone other than who God says they are: “I'm always going to be a failure. I’m not that smart. I am ugly. I am trash. I am defined by my past mistakes.” I’ve been there. I have believed many of these lies, and more. I have dealt with the shame of sexual abuse, the rejection and abandonment of an absent father, and the guilt of moral failure. All of which led to me having an unhealthy self-image, feeling like I had to work to please God and people, and ultimately hating the person I was. My story has been a love story, where Jesus has pursued me and fought for my life even when I believed many lies about who I was, as well as the gifts and calling He had given me. I have found freedom, love, joy, and grace in Him. If I can come to a place of enjoying the abundant life—knowing that I am a beloved daughter of the King with a vibrant purpose—then anyone can. SEMONE SEAVERS is a women’s minister, teacher, and coach with a passion for encouraging women to know their identity in Christ, and the purpose to which He has called them. 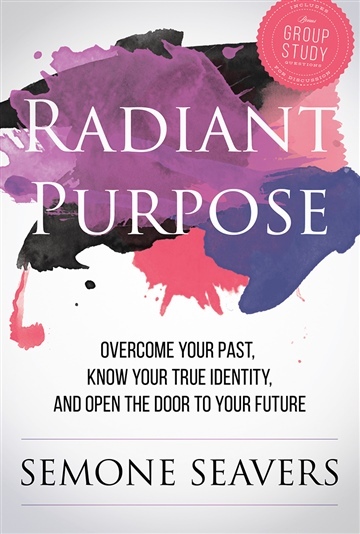 Through Radiant Purpose International, she ministers out of her own personal experiences with shame and guilt to those who have endured the same brokenness in their lives. Today, Semone resides in Port-au-Prince, Haiti with her husband Luke, where they serve together as missionaries.